Why Did I Listen To Girl Out Of Water by Laura Silverman? 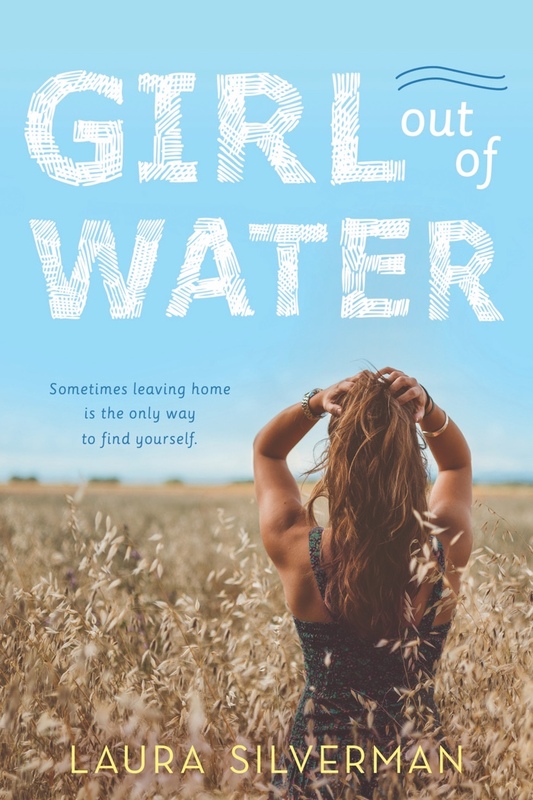 Girl Out Of Water by Laura Silverman initially hit my radar because of Twitter. Like, I do not know the entire story because I am old and not as into twitter as I once was. However, apparently the author was under internet attack by anti-semites? Anyways, that grabbed my attention and so when I then later saw people I trust giving it glowing reviews, I knew I had to pick up the Netgalley edition. Of course, I am also a realist and when I saw this book on Hoopla, it was an instant YES I NEED TO LISTEN TO THIS NOW. And really, I did listen to it as soon as I downloaded the Hoopla audiobook. Laura Silverman’s debut is about this girl named Anise. Anise lives with her dad in sunny California. Her mom isn’t really in the picture because she’s one of those wanderer types. Anyways, Anise’s aunt gets pretty injured and so instead of her cousins coming to visit her – she and her dad head to one of those flyover states for the summer to help take care of her aunt. This is rough on Anise because she’s really into surfing (if I am remembering correctly). So, anyways, Anise then learns about skating with the help of this boy – Lincoln. Lincoln only has one arm, however, he’s pretty fantastic at skating (I can’t remember if it is skateboarding or rollerblading – I am old and the worst). So, Anise gets interested also in Lincoln and there’s a little bit of a romance and a little bit of what happens next when summer ends. How Did I Like Girl Out Of Water? Girl Out Of Water was a lot better than I had expected it to be. So, I do like sports books, really I do. I just do not always read them all that often. What was particularly enjoyable was how into surfing Anise is. It was cool seeing her adapt when she was in Nebraska for the summer. I also enjoyed seeing her friendship with Lincoln grow and eventually become something more. The book goes pretty quick too. It’s a nice read for winding down summer, I think. The audiobook is narrated by Laurence Bouvard and is published by Dreamscape Media. Dreamscape is kind of new to me, but they have a ton of audiobooks on Hoopla of young adult books, so I am starting to listen to them more. I felt like this was a quality audiobook. It’s kind of short and easy to listen to. It’s very well narrated. I have yet to read this one, but I also discovered it via Twitter. I’m also not that into sports, but it sounds like it isn’t too overdone in this book – have it on my TBR! Glad it worked for you!